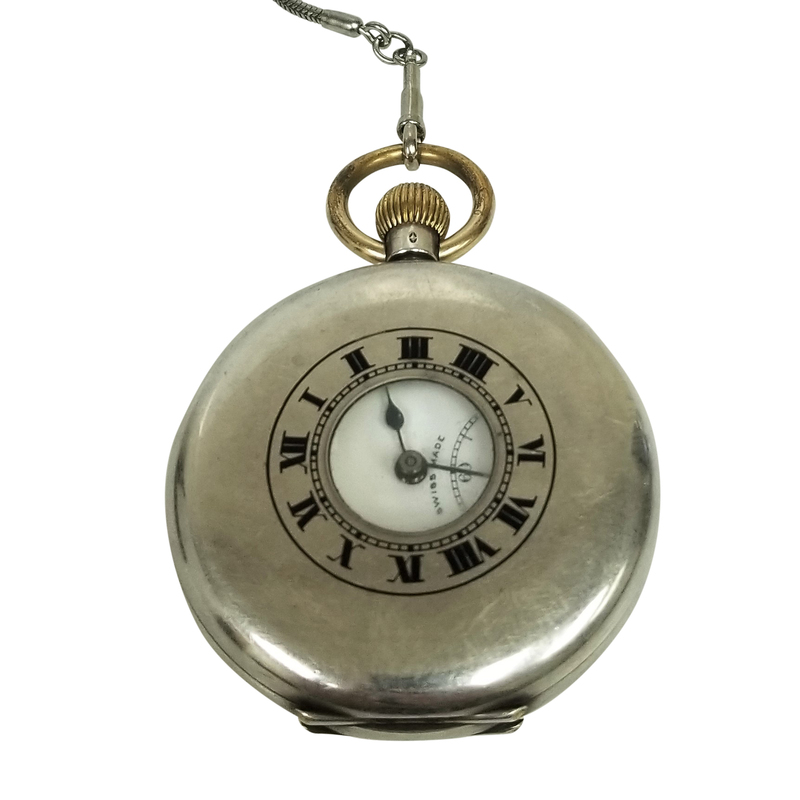 Crafted by the J.W. 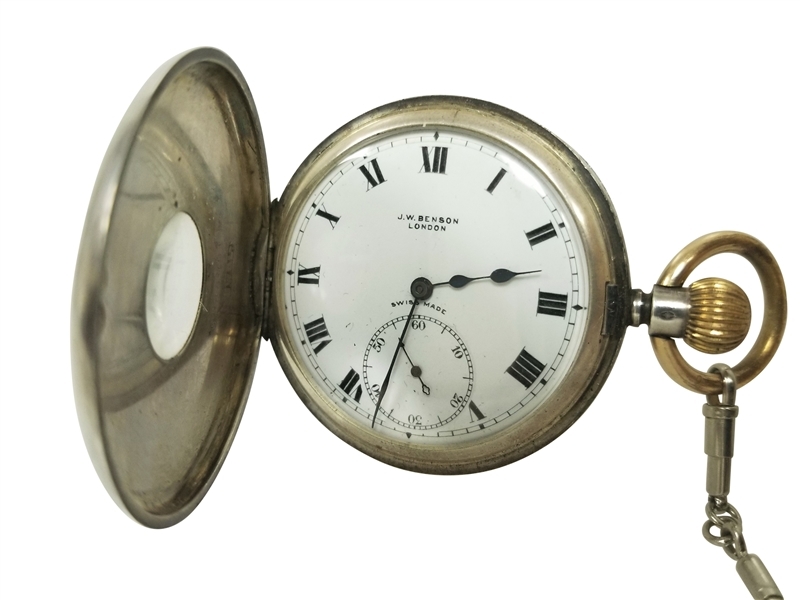 Benson watch purveyors of London, one of the most prominent of the era. 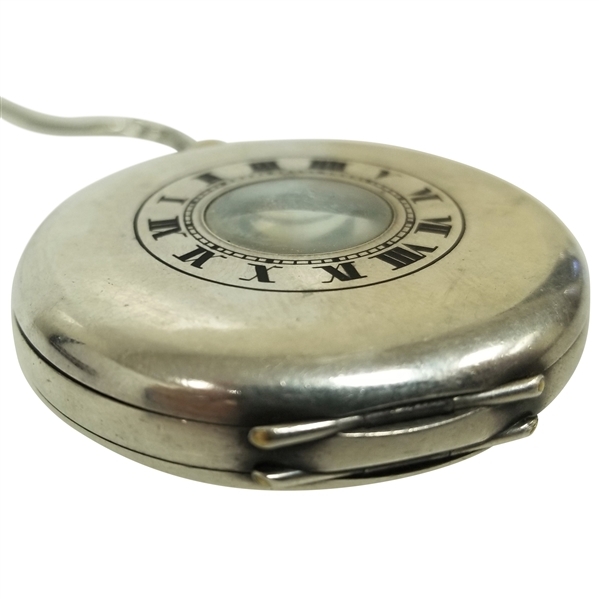 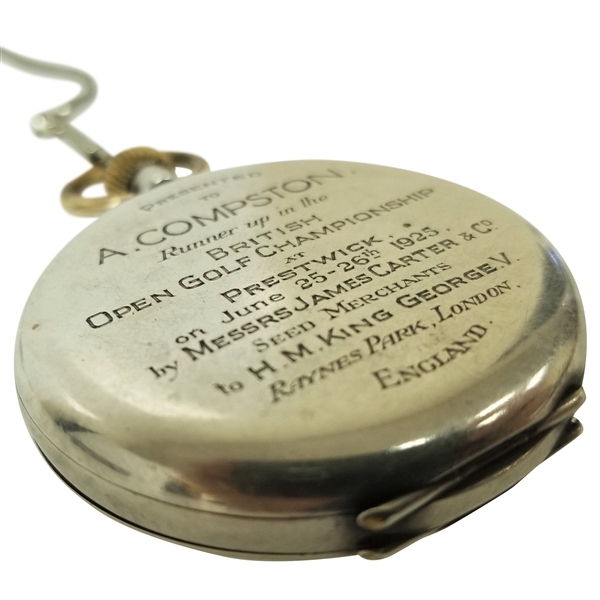 Around 1915 to 1925, seed merchants Messrs James Carter & Co. presented both a gold and silver pocket watch to the first and second-placed professionals in The Open. 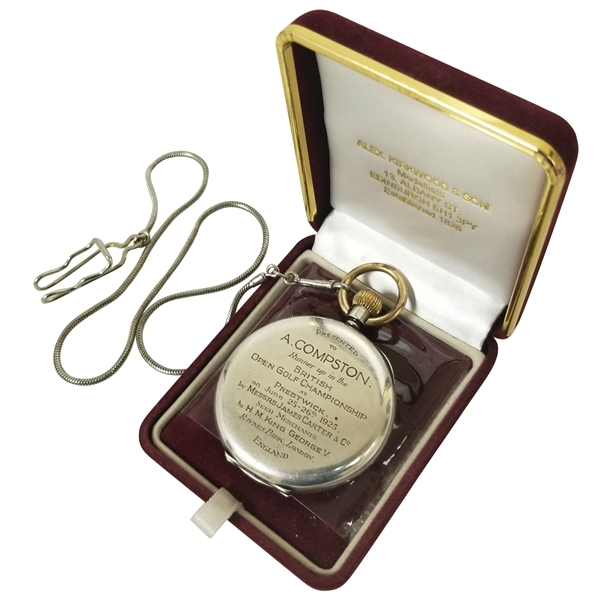 This example is the final one given as they discontinued the gifting after the 1925 contest. Jim Barnes won the 1925 Open Championship, and the golden watch given to him now resides and is a highlight in the British Golf Museum. In the '25 Open, Barnes was the Champion Golfer of the Year by one stroke over Compston. 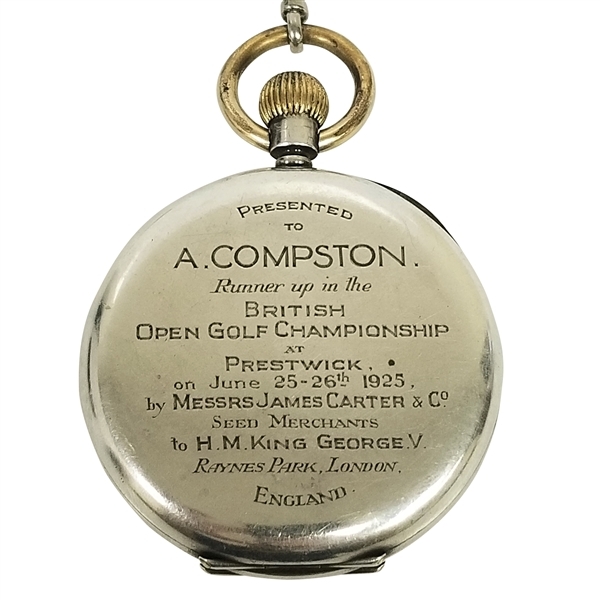 Also of note, this was the last of the 24 Opens played at Prestwick, which also hosted the first twelve. 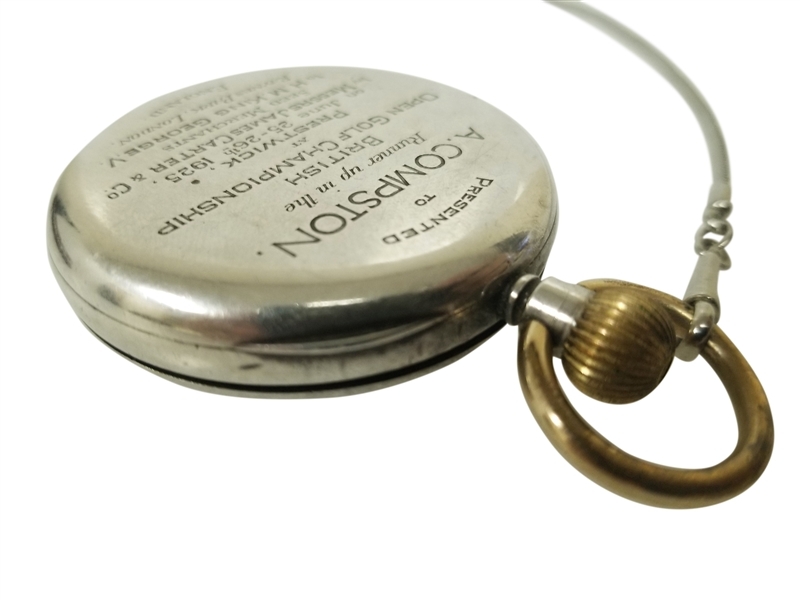 2" diameter with a chain that stretches to a length of 18 1/2". Signed J.W. 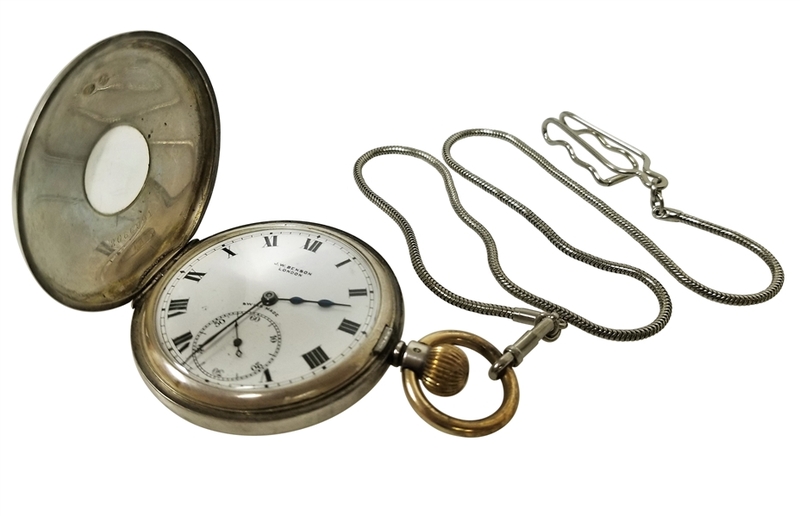 Benson London the Swiss made exquisite watch displays elegant small Roman numerals on the outermost , inner minute track, sunk sub-seconds with 'Spade' hands. Verso inscribed Presented to A. Compton Runner up in the British Open Golf Championship At Prestwick June 25-26th 1925 by Messers James Carter & Co Seed Merchants to H.M. King George V Raynes Park, London England. This is an extremely substantial, extraordinary and unique display item and early twentieth-century presentation piece. 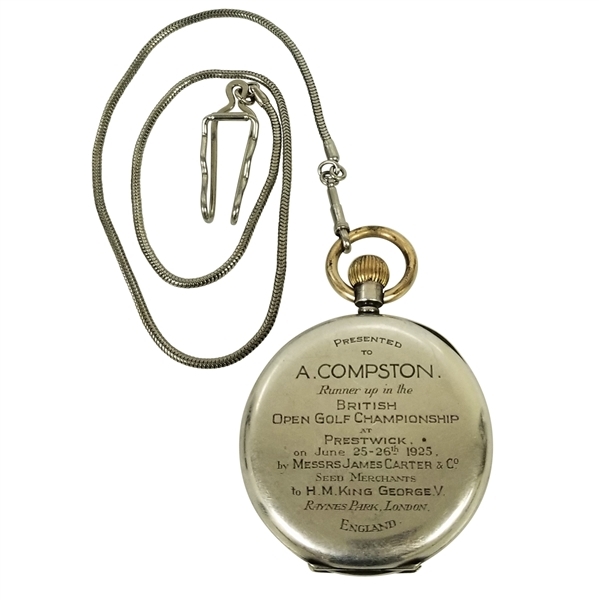 It carries great appeal to collectors in both the fields of golf memorabilia, and also to hobbyists of vintage timepieces.